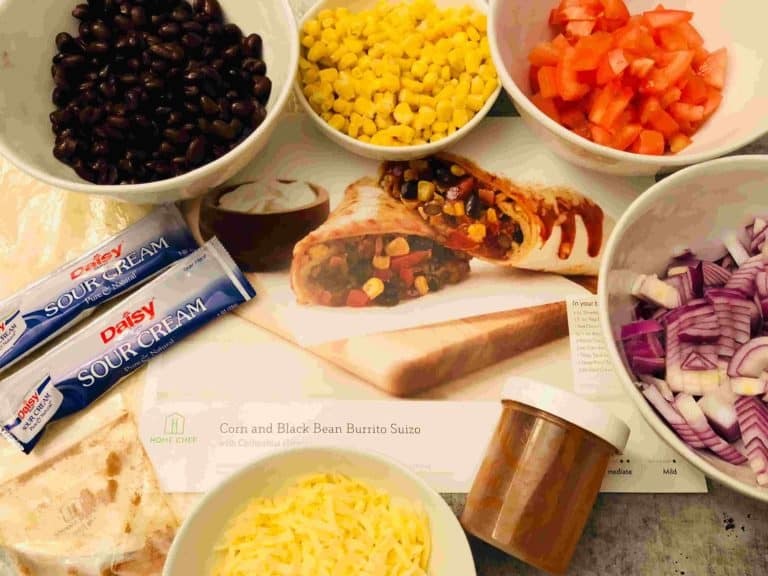 If you are looking for ways to make your evening meal preparation a little easier, you might want to consider subscribing to a meal kit delivery service. 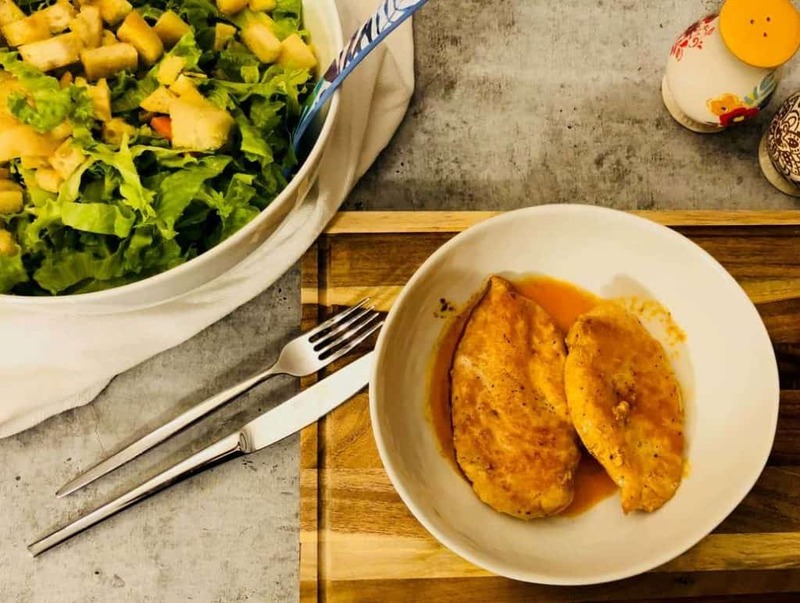 That way you can easily choose your weekly meals, receive all ingredients pre-portioned, and you will be ready to cook the perfect home dinner (no shopping required)! The only problem with choosing a meal kit delivery service is that there are now so many to choose from. With such a large number of companies, each with slightly different specialties and services, it can be confusing the choose the option that will suit you the best. Well… you can rest easy, because we are here to help! 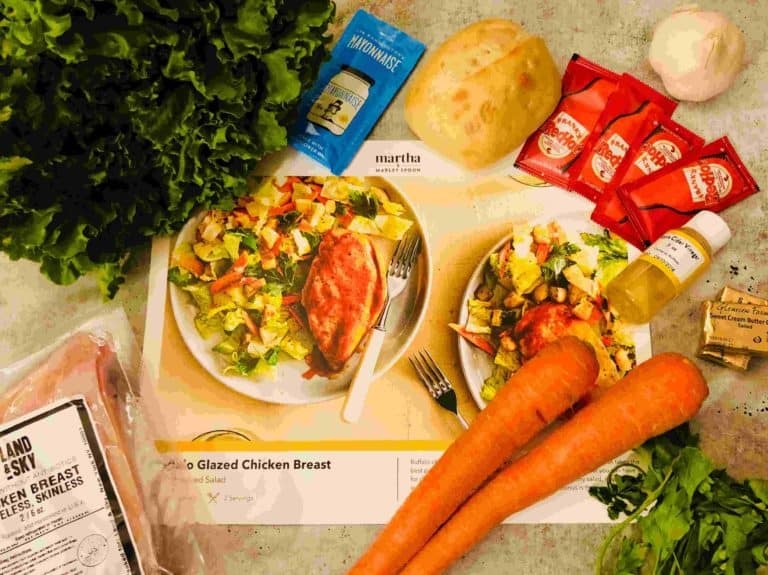 We are excited to compare two of our favorite meal kit delivery services. Our first company is Home Chef, the company that promises to make your home cooking as easy as possible. They offer a diverse range of classic and well-known dishes that often come with a nice twist. 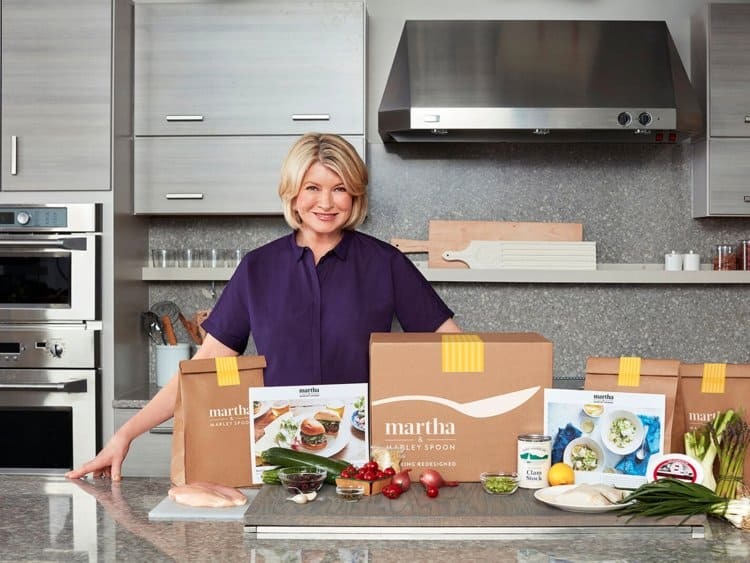 The second company we will looking at is Martha & Marley Spoon, the meal kit company created by the queen of all American home cooking – Martha Stewart. Both companies are amazing, and yet quite different in some ways. 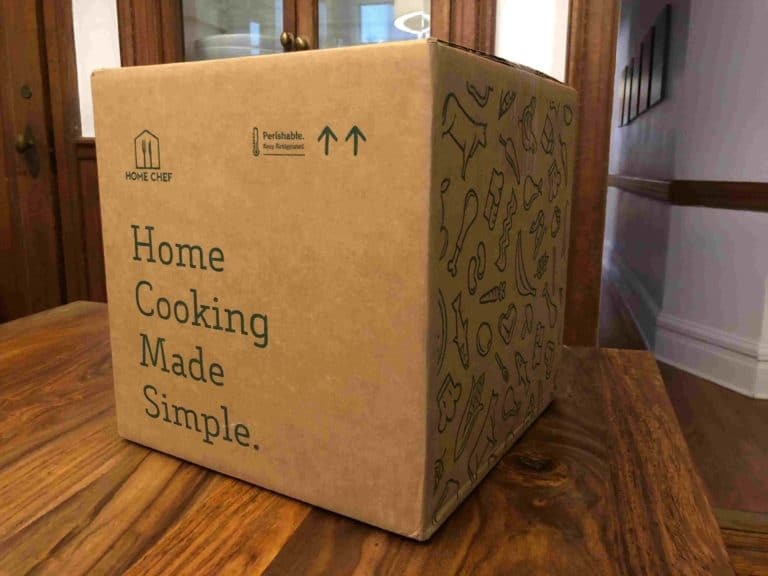 Home Chef offers great flexibility with deliveries available for two, four or six people, with a minimum selection required of two dishes per week, with no maximum limitations. When it comes to the variety of dishes available, Home Chef offer a selection of 12 recipes per week, plus three different five-minute no-cooking required lunch options. Regardless of the number of people that your plan covers, you can choose from all the recipes that are available. With both Home Chef and Martha & Marley Spoon, you can find a variety of vegetarian, dairy free, low calorie, child friendly dishes and recipes that are super quick to prepare. With all these options you can be sure that you will always find something that matches your needs! We have to say that we have tasted many meals from both Home Chef and Martha & Marley Spoon and we were very pleased! Both Home Chef and Martha & Marley Spoon focus on the best quality, classic home cooking dishes, with extra attention paid to adding vegetables and greens to almost every meal. Home Chef also tend to include a delicate twist to their classic dishes. With both companies the dishes take approximately 30 minutes to prepare, using very easy-to-follow recipes. Both Home Chef and Martha & Marley Spoon deliver meal kits that use products that are of exceptional quality. Home Chef uses some high-quality local farm-fresh products, collaborating with farms such as Paysan Breton Butter, ‘World Wide Farms’ for farm fresh herbs and vegetables and ‘Sea to Table’ for sustainably sourced seafood. On the other hand, the quality of the products used by Martha & Marley Spoon, going from all the meals we have tried, is superb! Martha & Marley Spoon work directly with some of the best purveyors to deliver high-quality ingredients such as grass-fed beef, Berkshire pork, American-caught shrimp, artisanal cheeses, and so much more directly to your home kitchen. Both companies deliver their meals kits in a specially designed and labeled carton box. There is minimum sorting required as the contents of each box are well organised with each dish individually wrapped and labeled. In Home Chef’s box the cooled items are in the bottom of the box with ample ice. In Martha & Marley Spoon’s box, all cooled items are placed in an separate cooling pouch made from raw, un-dyed cotton that is filled with ice Both are packed and organised in a way that you can be confident that the boxes can stay outside safely for a few hours. Both Home Chef and Martha & Marley Spoon offer well organized and easy to use websites and apps. Basically, all that you need to do regarding your account can be completed and managed online. This includes your first registration, choosing your plan and weekly recipes, defining eating preferences, changing your payment method and updating other personal information. You can also find plenty of information on each dish – ingredients, cooking processes, cooking times, nutritional facts and more. Both companies offer their service as an ongoing subscription. However, both give you the option to skip weeks or cancel the account whenever you desire with no cancellation fees. They also both offer a certain amount of flexibility in choosing your delivery day, depending on your home location. Home Chef offers three great add-ons that you can add to your delivery if you wish to. These are a selection of five-minute no cooking required lunches that include salads, sandwiches and bowls. These are available at a price of $7.99 per serving. There is also available a weekly changing smoothie and a seasonal fruit basket, both of which cost $4.95 each. Martha & Marley spoon, on the other hand, offer a selection of two fiesta boxes – basically a kit that contains all you need to make an appetizer, entree, and dessert for a party of four or eight people. To be honest, both companies offer an amazing meal kit delivery service option, with some great classic home cooking recipes. We were impressed with the quality of ingredients used by these two companies. We do, however, have a winner – Home Chef! mainly because of their meals variety and the nice twist they offer on each one. 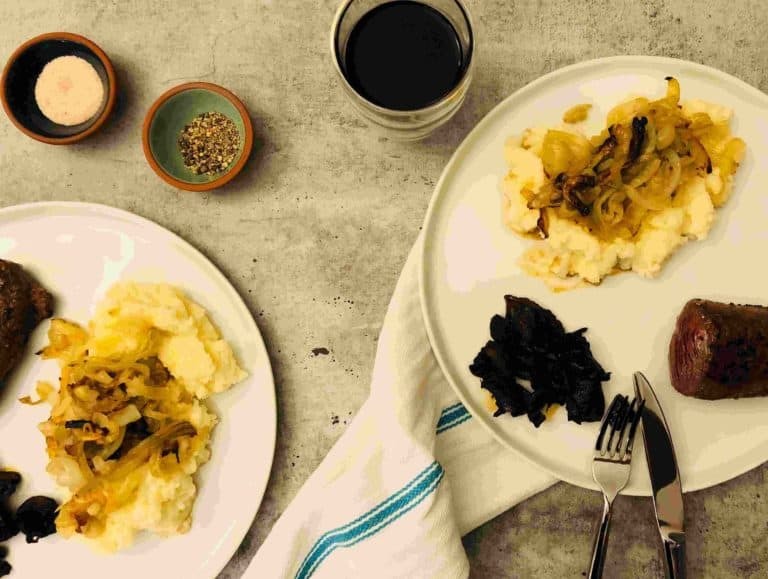 Bottom line, if you are looking to upgrade your dinners with classic, authentic restaurant quality meals that are quite easy to cook, our recommendation is to try them both! You can register for both Home Chef and Martha & Marley Spoon for a month or two. It is very easy to try both simultaneously. You could even enjoy new customer promotions from each company. As both companies offer the option to skip weeks, you can simply rotate between the two. That way you can try both companies for yourself and and choose the one that you enjoy better. Or you could also just continue using them both!